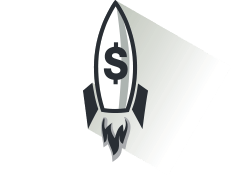 When is the most cost-effective time to invest into a major software upgrade? 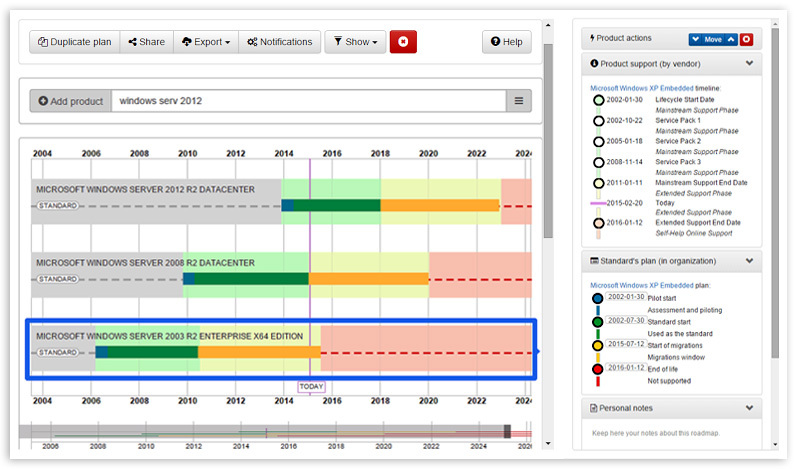 DATAVISO Roadmaps Planner helps you focus on the management instead of chasing data. Is your software at risk of being not supported? Make right decision immediately, save your time and power strategic projects. 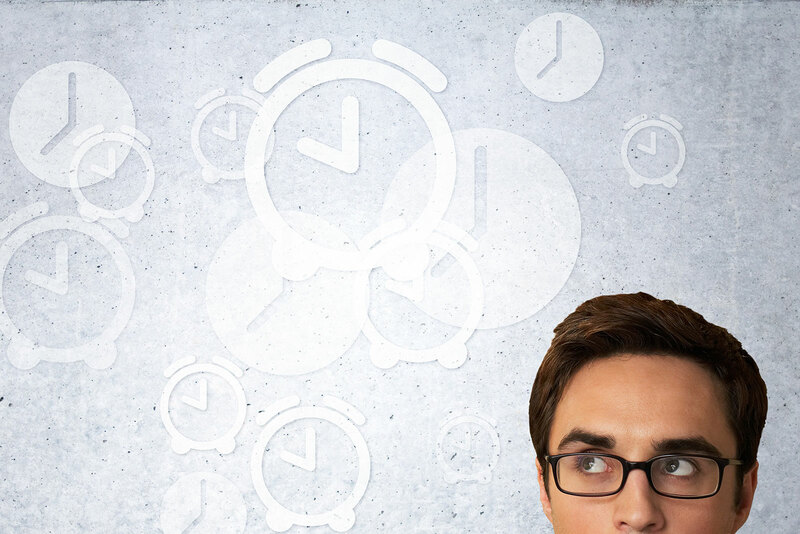 Did your employees forget to monitor technology support dates? Subscribe to our early notification feature in order to prepare for the budgeting rounds on time. 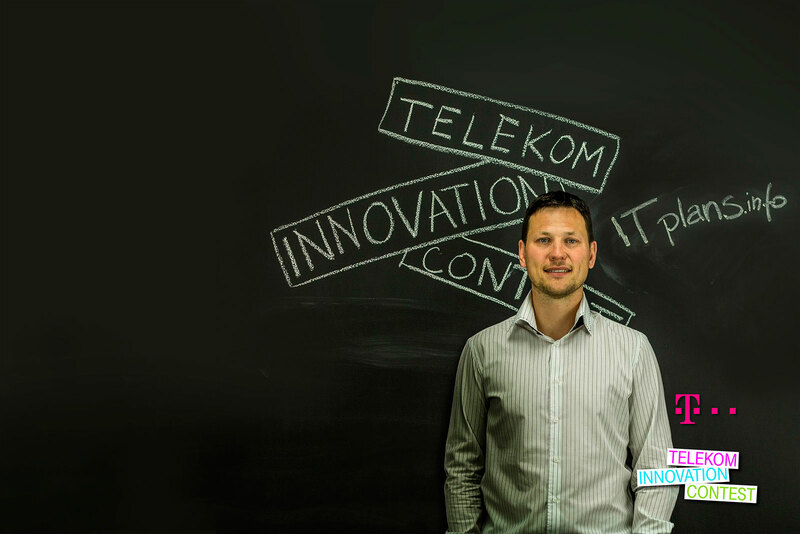 Deutsche Telekom and T-Mobile trust our vision as they awarded us as the Czech national start-up Telekom Innovation Contest winner in 2014. System is currently undergoing maintenance. We apologize for the inconvenience. Cannot connect to the server. Sorry, please try again later. If the problem persists, please contact us at [email protected]. System is currently undergoing maintenance. We apologize for the inconvenience. If the problem persists, please contact us at [email protected]. An error has occurred, please try again later. If the problem persists, please contact us at [email protected]. The software was not found on the system. Please try with different name. Or report a missing product at [email protected]. Too many requests in a short time. Try again later. System protection. Denial of service is logged. DATAVISO provides a unique worldwide SaaS and DaaS platform that automates the management of IT assets’ lifecycles. All by using a visual interactive planning tool – DATAVISO Roadmaps Planner. 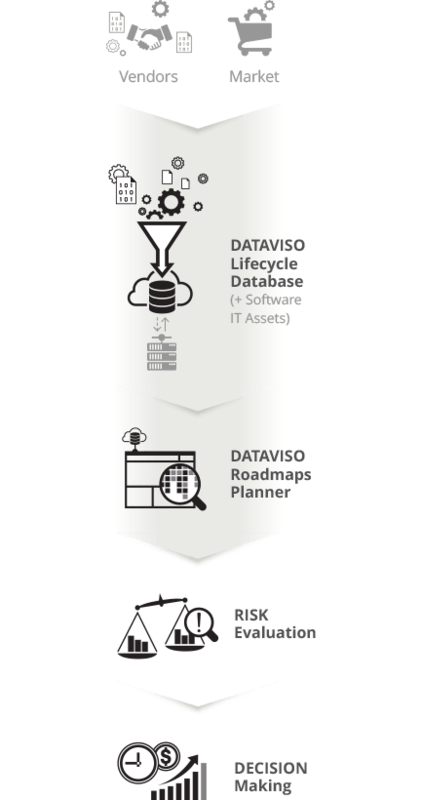 DATAVISO Lifecycle Database and DATAVISO Roadmaps Planner create the perfect connection of reliable up-to-date data and online tools. Tailor-made for CIOs, CTOs, ICT strategists and ICT architects. Application Portfolio Analysis is critical for every business regardless of size, technology environment or industry. There are many approaches to running Application Portfolio Assessment but it’s vital to constantly keep track of the technical fitness of your software. 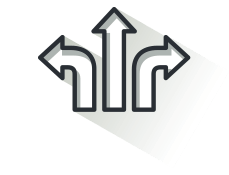 Using DATAVISO Roadmaps Planner makes this task automated and easier. Our centralized database contains 22 222+ software products. 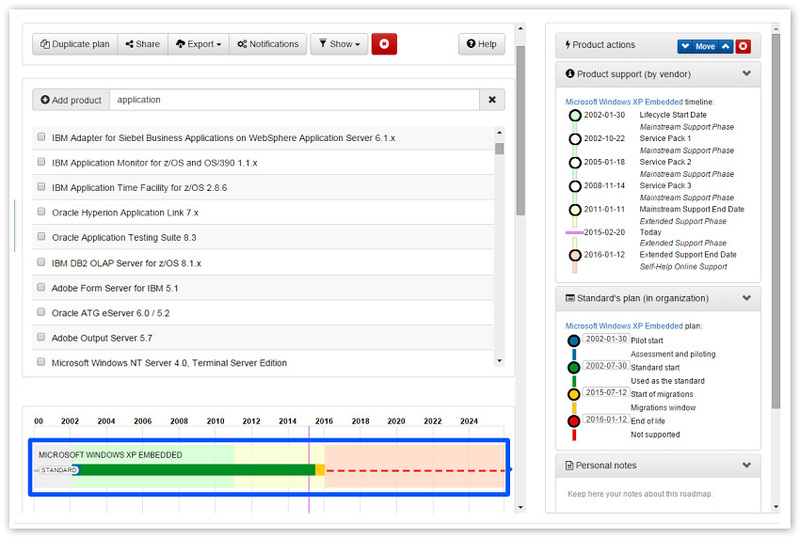 We provide up-to-date information about the support expiration dates confirmed by software vendors. DATAVISO is always creating new partnerships to ensure its database covers all relevant vendors and their lifecycle data. We are constantly monitoring the area of IT-support for you. We gather reliable information directly from vendors and field media. DATAVISO publishes monthly expert summaries of the most important events in the field of software lifecycles. Our newsletter keeps you in the loop of significant news impacting ICT business. Sign up, follow us on Twitter, and stay tuned. 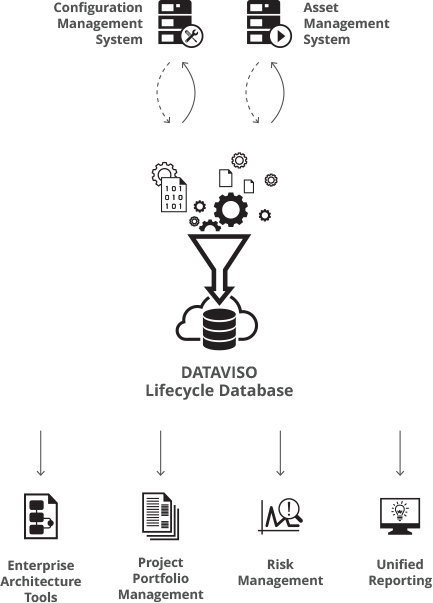 DATAVISO Lifecycle Database is designed to integrate perfectly with your Configuration or IT Asset management systems. 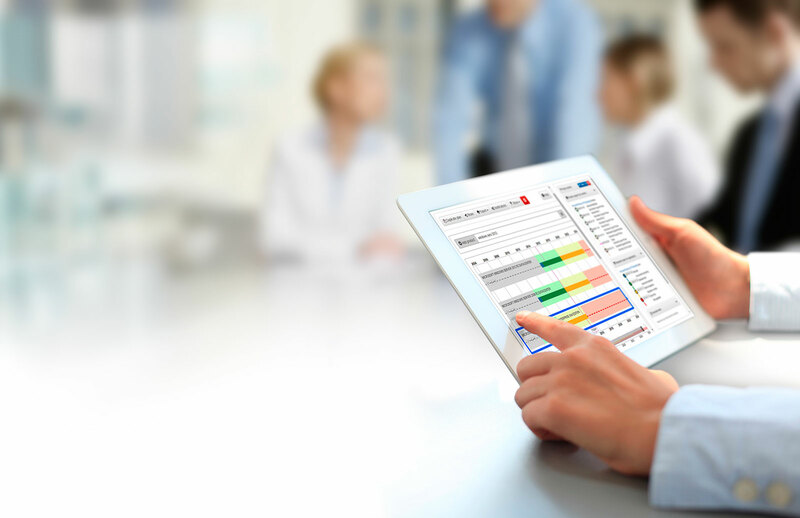 This allows you to precisely control, report on your IT assets and integrate into your tools in the areas of ITSM, Enterprise Architecture, Project Portfolio Management, Risk Management and Unified Reporting of your Business Intelligence. 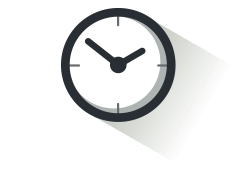 Use DATAVISO to do in minutes what can otherwise take weeks. The biggest money savings may be in elapsed time and in not waiting for others. Focus on management instead of chasing data. 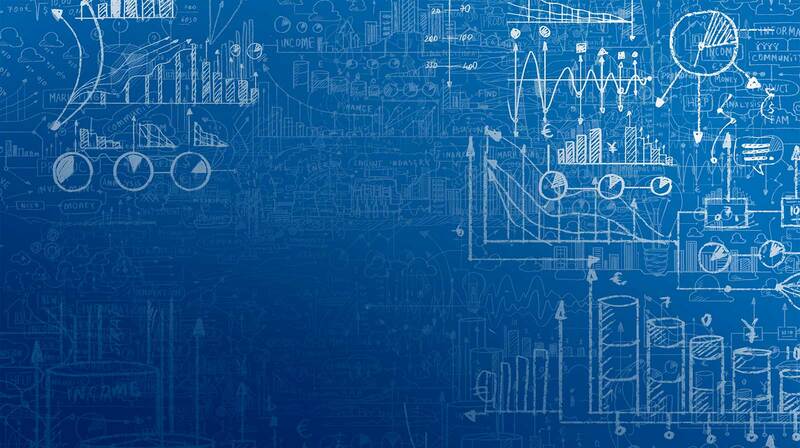 Achieve the greatest ROI using DATAVISO tools and latest data to evaluate IT requirements and efficiency. Advance business enabling projects by having the right IT capability at the right time. IBM is happy to support the broad vision and implementation of DATAVISO, to be part of a platform for strategic discussions on IT technology planning and discuss all market options when we see big change for SaaS solution than before. 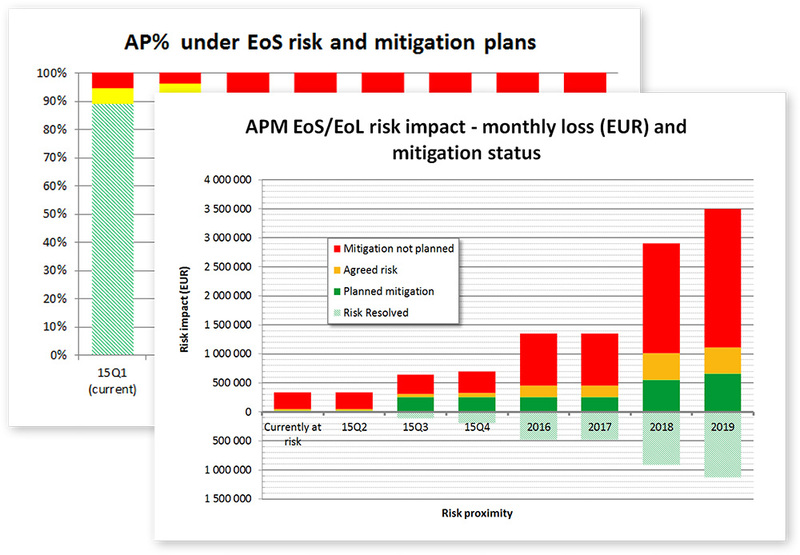 DATAVISO supports ČSOB in proper planning and forecasting the expenses related to our application portfolio by predicting the impacts in years to come. It also allows us to focus on the technological matters rather than spending tremendous effort on unnecessary information gathering. Something went wrong. Unable to send your message. Please, try it again later. You must enter the name of your organization. Anything else? Feel free to add some software here.